It is with great pleasure that Sardis Developments Ltd. announces its acquisition of the former Pink Beach Club property, effective yesterday March 6th. The company intends to redevelop the site in conjunction with the project’s financiers, The Bank of N.T. Butterfield & Son Ltd, by constructing a new boutique hotel on the property. The owners of Sardis, would like to thank both the Bank and the receivers of the property for their professionalism and unwavering assistance in bringing the project to fruition. They would also like to give credit to the Bermuda Government, in particular the members of Economic Development Committee and the staff at the Registrar of Companies for their efficiency and support of the project under pressing time constraints; service which has served to underline their faith in the Island’s potential. 2:20PM UPDATE: The Bank of N.T. Butterfield & Son Limited (“Butterfield”) today announced that it has concluded the sale and transferred ownership of the former Pink Beach Club hotel to Sardis Developments Ltd. The beach-front Tucker’s Town cottage colony was placed in receivership in 2010. 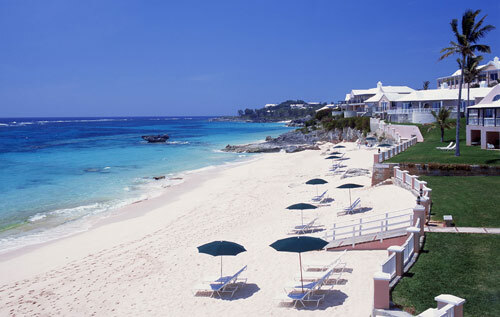 Michael Collins, Butterfield’s Senior Executive Vice President said, “In Sardis, we are pleased to have found a buyer for Pink Beach who is committed to redeveloping the property into a world-class boutique hotel, which will attract new interest among vacationers and help reinvigorate the Island’s tourism product. New draft plans for the redevelopment of the Pink Beach Club have been unveiled to stakeholders. The club went into receivership in 2011 and attempts to sell the property have failed to bear fruit. But now businessman Stephen King is looking at the possibility of developing the club that borders South Shore. He recently met with stakeholders and nearby residents to discuss potential plans for the 13-acre property in Tucker’s Town. The proposals were originally presented last month, but no plans have been submitted to planning yet. Under these initial plans five-and-a-half acres of the land was to be set aside for a main residence as well as two guest cottages, a grounds keeper cottage, an event lawn and a tennis court. The number of hotel suites available to guests was set to be significantly reduced from 94 to 36 rooms. There were also plans to build a staff dormitory and tennis court on an area at the west end of the property that have been designated agricultural land. Stuart Hayward, chair of the Bermuda Environmental and Sustainability Taskforce, added: “No application has been submitted to the best of our knowledge, but we would be concerned about development on land zoned for agricultural use, and the conversion of tourism-zoned land to residential use. Meanwhile, a Government spokesperson confirmed that the Bank of Butterfield is in talks with a potential buyer. Last July the Pink Beach Concessions Act was passed in a bid to encourage interest in the site with Minister Shawn Crockwell saying that he hoped the club would re-open in May 2014. The Bermuda Sun tried to contact Mr King through his lawyer, Michelle Stone, to find out how close a sale was to taking place. We also sent questions regarding the draft plans, the proposed changes of land use on the property and how the proposals had been received by neighbours. However, we were not able to make contact with Mr King.